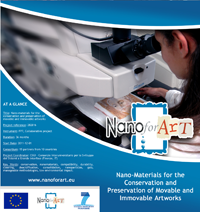 During the international E-MRS (European Materials Research Society) Spring Meeting, held in Strasbourg (26th - 30th May 2013), some of the results obtained in the frame of NANOFORART project about cleaning and deacidification of works of art have been presented to the audience with two talks and two posters. For further information about the meeting, please refer to the official website. Take a look at the photogallery (Ph: Gisela García Correa) of the ECRO conference. 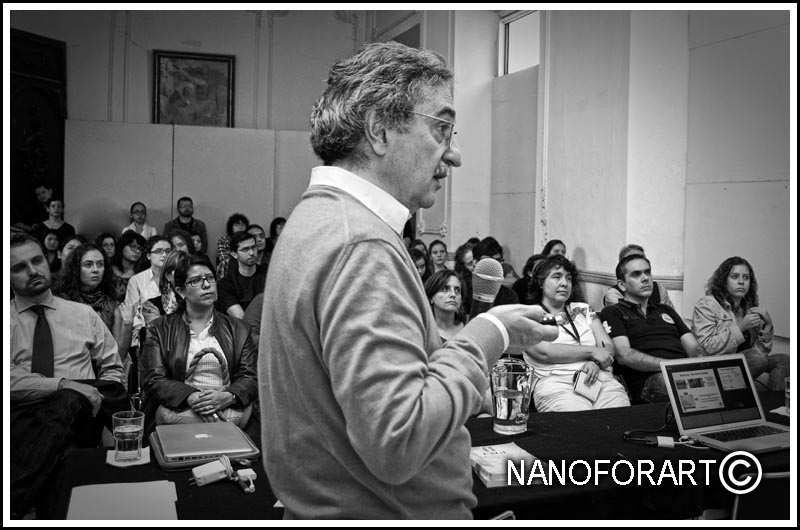 NANOFORART Conference: "Nanotechnology for the Cleaning of Cultural Heritage"
"Nanotecnologìa para la limpieza de bienes culturales"
and held by Prof. Piero Baglioni and Dr. Rodorico Giorgi, from CSGI, University of Florence. 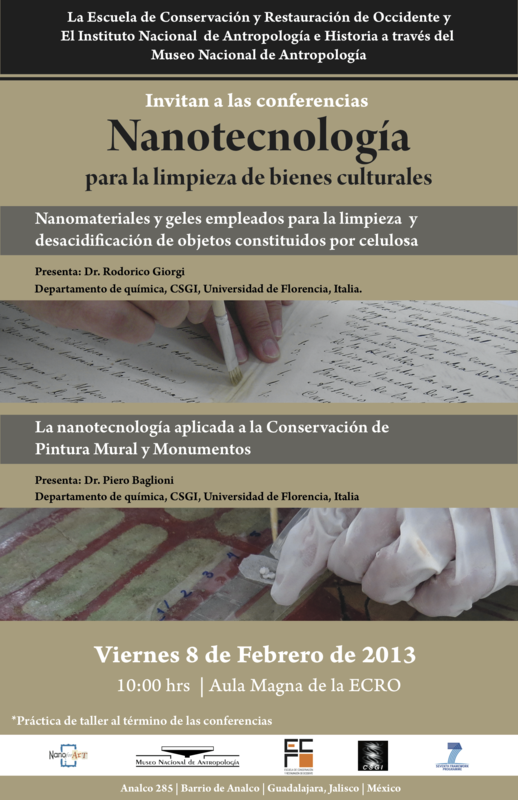 The conference will take place on Friday 8th of February at the Aula Magna of the ECRO (Guadalajara, México), starting from 10:00. For further information, please find contact information here. 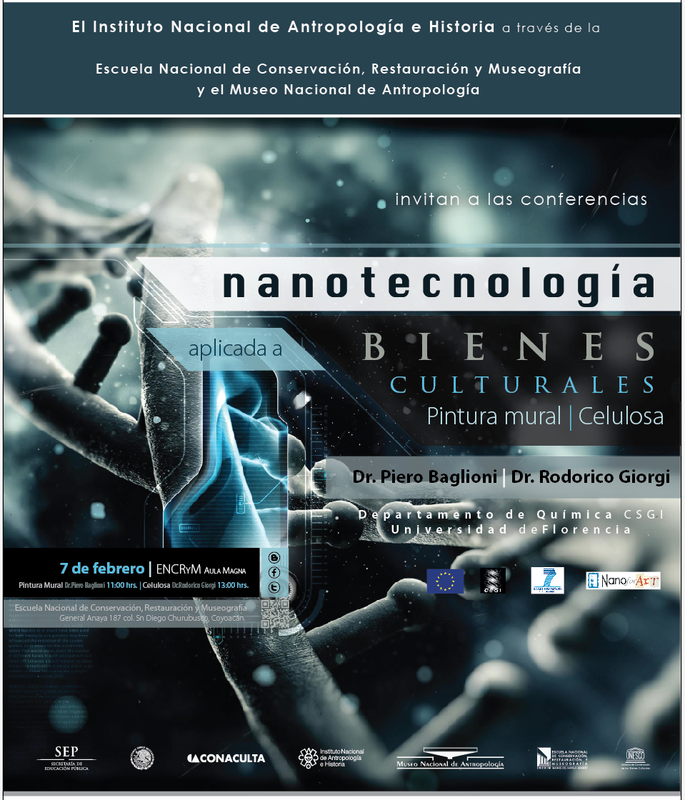 NANOFORART Conference: "Nanotechnology Applied to Cultural Heritage: Wall Paintings/Cellulose"
"Nanotecnologìa Aplicada a Bienes Culturales - Pintura Mural | Celulosa"
The conference will take place on Thursday 7th of February at the Aula Magna of the Escuela Nacional, starting from 11:00.